Adolescents 360’s hyper-tailored approach to developing youth-resonant reproductive health models offers a framework for HIV prevention programs to learn from. 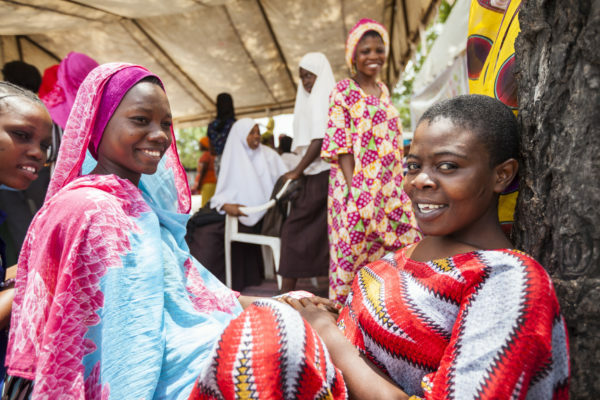 Evolving evidence suggest very strongly that for HIV prevention programmes designed to address the needs of adolescent girls in Nigeria to succeed, the programmes need to address structural drivers of the epidemic. The programmes need to improve their social life: HIV prevention access should be situated in a comprehensive intervention model that empowers then with skills for life and living; and with skills to improve their independency. The A360 program in Nigeria is a good example of a program to model a comprehensive HIV prevention intervention program for adolescents after. The project learnt to integrate contraception access within a model that addresses the social risk for adolescents’ pregnancy – economic empowerment; active engagement of adolescents during their spare time; and motivation for change through intense peer group education and one-on-one counselling. The planning and implementation of the entire programme within communities and states allow for excellent community engagement and stakeholder involvement including involvement and project ownership by policy makers. Contraception services is introduced and provided for girls who understand the need for this having undertaken skills building and motivational classes. Those who access services also become the ones who recruit peers for the services. The model allows for fast recruitment of peers to access services. Multiple success stories about how lives have changed have been documented on the project. It is important to understand that adolescent girls are not homogenous. There are interventions appropriate for adolescents based on their culture, geographical locations, age segmentation, marital status and a whole lot more confounders. Understanding these confounders and addressing them through the mix of a combination of interventions identified using a human centre design approach will result in meaningful impact. Eager to read more? You can access the full article here.